Kara DioGuardi is a former American Idol judge, Grammy-nominated songwriter, producer, music executive and Herb Albert Visiting Scholar at Berklee College of Music. As one of the most successful contemporary songwriters in the world, Kara’s songs have appeared on more than 160 million albums. She has won 20 BMI awards for most performed songs and was the 2006 songwriter of the year. She’s had over 320 songs released by major labels, 150 songs on platinum-selling albums, and over 50 charting singles. Her credits include successes and collaborations with artists such as P!nk, Katy Perry, Celine Dion, Kelly Clarkson, Britney Spears, Christina Aguilera, Miley Cyrus, Demi Lovato, Gwen Stefani, Carrie Underwood, Enrique Iglesias, Rascal Flatts, The Band Perry, Darius Rucker, Faith Hill, Santana, and many more. Kara is also an established record producer, record executive, music publisher and author. As Executive Vice President at Warner Brothers Records, Kara signed artists such as Jason Derulo and Iyaz. Her publishing company, Arthouse Entertainment, boasts hits from Bruno Mars, Carrie Underwood, Cee-Lo Green, Eminem, Rihanna, B.O.B, Travie McCoy, Flo Rida, Whitney Houston, Sean Kingston and 5 Seconds of Summer. She recently signed artist Jon Bellion (Capitol) and Clairity (Lava/Republic). In the fall of 2011, Kara made her Broadway stage debut as merry murderess, Roxie Hart, in the Tony Award-winning hit musical CHICAGO. She also penned her memoir “Helluva High Note”. Bradford T. Kenney is a New England based artistic director, producer, stage director and artist. Since joining the Ogunquit Playhouse in 2005, the Playhouse has doubled its audience growing from a single season summer stock theatre into one of the Northeast’s pre-eminent regional theatres with a three-season performance schedule. 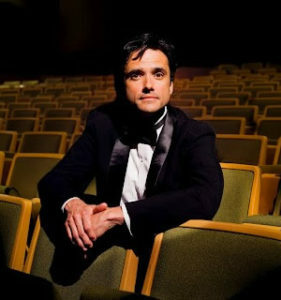 During his stewardship, the Playhouse has garnered a number of awards and honors including the Moss Hart Award, Regional Theatre Award for Outstanding Achievement in the American Theatre from the New England Theatre Conference, multiple IRNE award nominations and a number of BroadwayWorld awards including Best Musical and others. Mr. Kenney is also noted for his work at Carnegie Hall including directing the holiday special, The Christmas Rose starring Jane Seymour and producing An American Christmas Carol with Tim Janis also at Carnegie Hall. In New England, Mr. Kenney has been proud to be associated with a number of different theatre companies. Ogunquit highlights include Damn Yankees starring Carson Kressley, Sunset Blvd starring Stefanie Powers, Charles Shaughnessy and Rachel York in Monty Python’s Spamalot, Jefferson Mays in My Fair Lady, Lorenzo Lamas in The King and I, Rue McClanahan in Crazy for You, Sally Struthers in Hello, Dolly! and Andrea McArdle in Cabaret. He was also formerly the Artistic Director of the Foothills Theatre and Wachusett Theatre Companies in Massachusetts. He is a fourth generation Plein air landscape artist, having studied with Beth Ellis, Rhode Island School of Design, Heartwood College of Art, and Maine College of Art. His artwork is represented by the Sea Bell Gallery, Shore Road, Ogunquit, Maine. Bonnie Hayes is an American singer/songwriter, recording artist, musician and record producer. 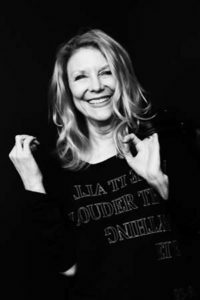 Perhaps best known for penning “Have A Heart” and “Love Letter,” which restored Bonnie Raitt to superstardom with the multi-platinum, multi-Grammy-winning CD Nick of Time, Hayes’ 80’s pop-punk record on LA label Slash records yielded the anthemic college radio hit, Shelly’s Boyfriend. Manifesto rave-up “Girls Like Me” from the same record ramped up the titles of the cult favorite film “Valley Girl”. Famed for her kick-out-the-jams live show with her various bands as a leader, Hayes has also enjoyed success as a side-woman, touring with megastar Billy Idol for 2 years as keyboardist/backup singer, and Belinda Carlylse on her Heaven tour. An early adopter of digital recording technology and adept arranger, Hayes was a partner in the Tone Palace Studio in San Rafael, CA, where she produced indie records for blues and Americana artists such as Tommy Castro and Tracy Blackman. Hayes currently serves as the chair of the songwriting department at the Berklee College of Music, and plays and records in various situations as her schedule permits. From the Gulf Coast to the East Coast, no one reaches millennials like Colton Bradford. Starting in radio at 16 years old as an intern at WKSJ in Mobile, Alabama. Colton can now be heard on country radio stations across New England. In 2011, during his freshman year of college, Colton caught the attention of NBC News after he developed one of the fastest growing high school organizations to help decrease the state’s dropout rate. His student led initiative, ‘GradBuddies’ originated at his alma mater and has now expanded to numerous high schools across the state of Alabama! His work helped earn him a spot next to ‘TODAY’ show anchors for one week as part of the ‘Voices of a Generation’ panel for the NBC News special “Education Nation”. Since his time as an intern he’s sat behind the anchor desk of the ‘TODAY’ show and has been featured on nearly every platform of NBC News. He’s interviewed Grammy winners, hosted television & radio shows, and even dabbled in television news all before his 22nd birthday. 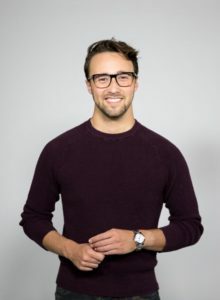 In 2015, Colton moved to Boston and now works as a correspondent for NBCUniversal covering feature news for NBC10 Boston and continues to host radio shows on iHeartCountry stations from Boston and beyond.